I state in my Statement of Ethics that if I accept a review sample, I will disclose it at the beginning of the article. Please consider it disclosed. I’d like to thank Ro-Bro Marketing and Public Relations, Bardstown Bourbon Company and Copper & Kings for providing this sample to me with no strings attached. While I was in Kentucky I was invited to a media event to announce the first product to be released by Bardstown Bourbon Company. I was a bit scared of the product, to be honest, they only started distilling a year ago and I was unsure what was going to be released. But my fears were allayed when I got the press release stating that the bourbon was sourced from MGP and was 10-years old. When I got to the distillery for the event, I came to the realization that there were actually two products. One was a barrel strength, brandy finished bourbon. And one was a barrel strength Mistelle finished bourbon. Which left me with just one question. What the hell is Mistelle? Luckily they were kind enough to provide us a cheat sheet and so I will quote from that. "A Mistelle barrel is a unique vessel. Mistelle is unfermented grape juice (in this case Muscat) fortified with un-aged brandy (Muscat eau-de-vie) and then aged in bourbon barrels for 18 months. The empty barrels are deeply and highly caramelized with the grape sugars and fruit essences." So where did the barrels they used to finish the products come from? Well, that is the source of the name. Both the Mistelle and the Brandy were produced by Louisville's Copper & Kings Brandy. See it was a collaboration between the two companies that made this possible and from what I can tell, both were heavily involved in the final product. Purchase Info: I received a sample of this from the company at the launch event. SRP is $124.99 and can be purchased at the Copper & Kings gift shop and selected retailers around the country. Details: 47% ABV. 10-year-old MGP bourbon finished in Copper&Kings Mistelle barrels for an additional 18 months. 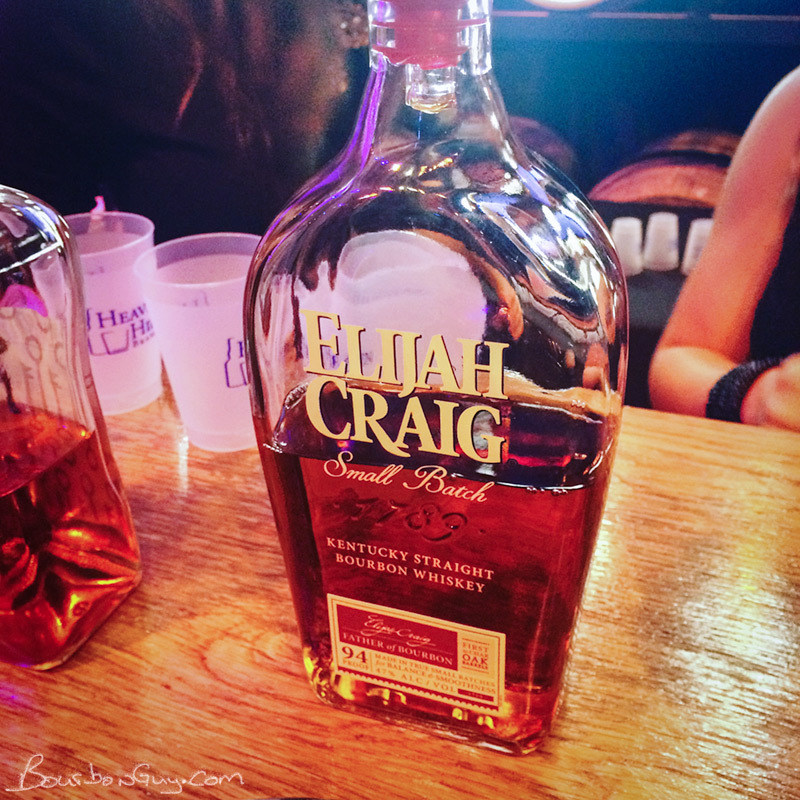 Nose: White grape juice, brown sugar, almost no whiskey notes on the nose. Mouth: Very sweet with just a touch of spice at the tip of the tongue. White grape candy with clove and black pepper. Finish: Warm and of decent length, but also very sweet. Lingering notes of white grape juice, spearmint, and baking spice. Thoughts: This one just isn't for me. Aside from a few varieties of baked goods, I don't have much of a sweet tooth. I don't like candy, I don't like most soda, and I don't like most liqueurs. That said, if you want a sweet grape whiskey liqueur but want it to have the proof of a whiskey, this might be right up your alley. I mean, it isn't a liqueur, but it tastes as sweet as one. Personally, I might have liked it better if they had taken this and then blended it back with more of the original straight whiskey. But that's just me. Details: 56.5% ABV. 10-year-old MGP bourbon finished in Copper&Kings Brandy barrels for an additional 18 months. Nose: Baking spices, caramel, and oak. Hints of raisin appear after a bit. Mouth: Sweet, spicy and relatively brandy forward. Notes of nutmeg, raisin, and caramel. Finish: Long and warm with lingering grape, nutmeg, and caramel notes. Every September, I hop in the car and head to Kentucky. It's my yearly trip to the Kentucky Bourbon Festival. It lasts a week, and I go for a week but, our paths don't usually cross until Wednesday night. Sure, the ticketed events can be fun, but there are plenty of other things to do in Kentucky, BourbonFest is just the excuse. Here was my week. KOA cabin in Shepardsville, KY. It's a small trailer with a fridge, shower and a nice bed. But it had a firepit and you smelled of campfire every night when you went to bed. I say that counts. And the KOA is about halfway between Bardstown and Louisville. Which makes it easy to get to either of them. a cart full of bourbon I can't get at home. This photo is at the Party Source, near Cincinatti, I was meeting an Internet friend In Real Life for the first time. But I did plenty more of this in both Louisville and Bardstown. The Silver Dollar is by far my favorite place to grab a drink in Louisville. Tons of good bourbon—great house picks—and a little brisket and mac 'n cheese to go with it. Glenn's Creek Distillery at Old Crow. All of these distilleries brought an opportunity to have fun that I wouldn't have given up. 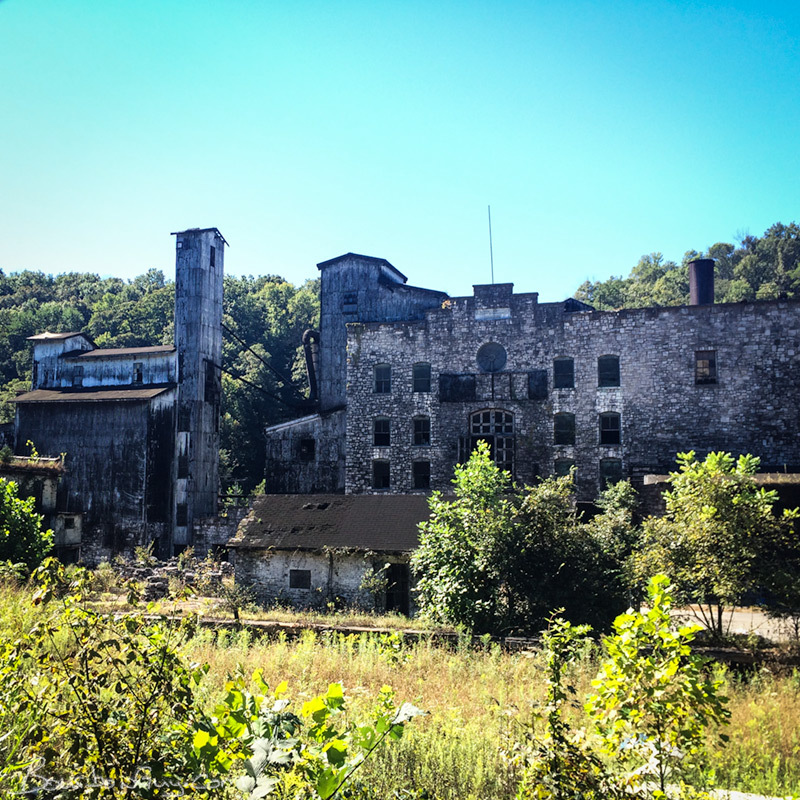 Maybe it was wandering through the ruins of an abandoned whiskey factory after getting geeky with the guys that ended up capturing it's yeast, seeing a historic distillery that's been wrapped in Disneyland-style make-believe or just running into Fred Noe at Jim Beam. Because, seriously, did you expect me to spend the entire week there and only stop once? This one was at the Kentucky Bourbon Marketplace. A store with a bar attached to it. They won the contest for the official Festival Cocktail this year. It was quite tasty. I did still go to the All-Star Sampler. Why do I keep going to this. Firstly, I almost always meet friends there. It's gotten a little expensive at $75 per person this year, but there aren't that many events where I know I'll see a good chunk of my Kentucky friends in one place and maybe even meet one or two more while I'm there. I also broadcast live from the event on Periscope. ...or just something that looks new. There was actual food too. Eggs, sausage, bacon, biscuits, gravy, cheese grits, pastries, fruit, coffee, water, juice, and more. Plus you got to listen to question and answer sessions with Al Young and Master Distiller, Brent Elliott. I didn't buy anything at the Master Distiller's Auction. But I still had a lot of fun watching people pay multiple thousands of dollars for whiskey. We bid a few times, but only helped drive the price higher. I bought very little out on the lawn outside the museum either, but I did broadcast a taste of it on Periscope as well. I spent time with friends, old and new. There were very few days when I didn't spend at least a little time with friends while I was there. Dinner, drinks, cake, talks over lunch or into the night. These were my favorite times during the trip. They are the reason I keep going back. Well, that and the Bourbon. LUXCO LOGO/NAME ANNOUNCEMENT 9/15/16 AT LUXCO DISTILLERY SITE. An event during festival week in Bardstown, Kentucky usually attracts an eccentric grouping of attire. You will normally see everything from suits and ties, to collars and jeans, to t-shirts and shorts. This event was no exception. When I first got onto the shuttle for the ride to the distillery site, the first person I saw was in a shirt, tie, and slacks. I started to feel under-dressed in my polo and shorts until I noticed Mr. Stained T-shirt in the seat behind him. OK, I thought, this is going to be typical of the events held during the festival. The table where I got the majority of my drinks. After the shuttle took us up the lovely tree-lined drive to the site of the event, we got out and made our way to a tent that was obviously the event space. It was situated alongside a beautiful stone house. Brown fences lined a manicured lawn upon which wooden rocking chairs were placed. Upon entering the tent, I made my way to the drinks station and got myself a….water. That’s right, this is an outdoor event. It’s hot and I am from a place where the weather comes in varieties that trend a bit toward the cooler side. Plus, I am “working” so for me, the fun comes later in the evening. While I was drinking water, my wife checked out the bar which was serving several cocktails (all were quite tasty, according to her). Architectural rendering of the finished Lux Row Distillery. After a bit of mingling, talking to the PR people/others there to cover the event/a few people in the Luxco distilling family, the announcements started. First, the wait staff passed out unlabeled glasses of whiskey. The president and COO of Luxco, David Bratcher stepped up on the stage and gave a few thank yous to the group. 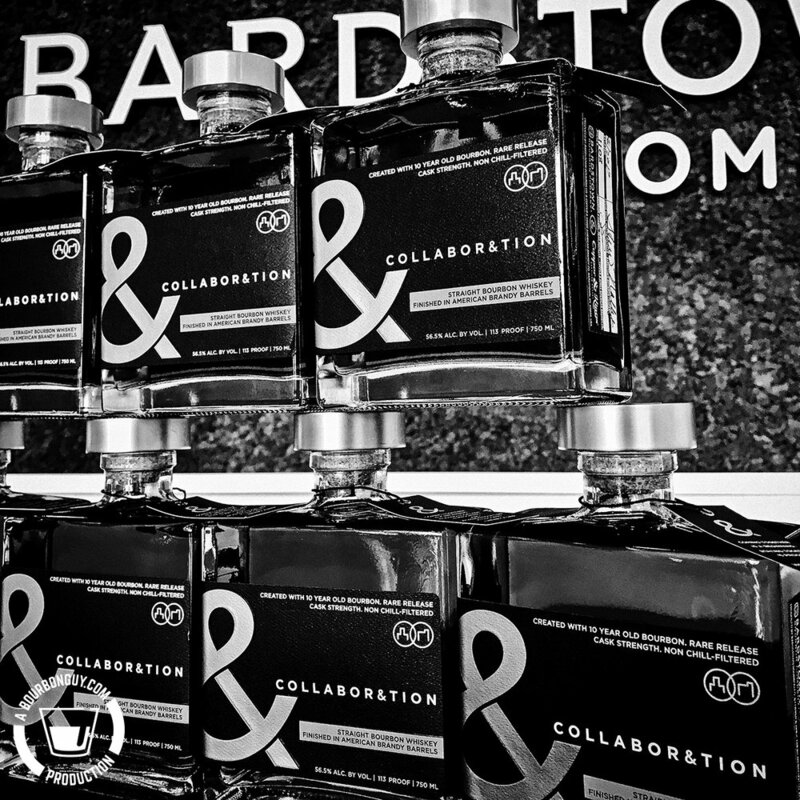 He told us why, after looking at 50 sites in three states, they chose Bardstown for the distillery. He told us how when they saw the site, they knew they had the right one. He told us a little about Luxco. And finally he introduced Chairman and CEO Donn Lux to speak. Mr. Lux took a few minutes to speak, build the tension, and then finally revealed the distillery name: Lux Row Distillery. Named for the lovely tree-lined drive to the distillery site as well as the family who owns the business, it seems like a good name. My money was on “Rebel Yell Distillery” or “Ezra Brooks Distillery,” but what do I know? After that the announcements were over and we got to try the whiskey in the glasses we’d been handed previously. Turns out it was Rebel Yell 10-year Single Barrel. At this point most of the guests got down to festivities. The reveal of the Lux Row logo. Looks nice. My impressions, I didn't have enough to do a full review, nor was I in a good setting for that. Thoughts: This product will retail for a suggested price of $49.99. If this barrel is representative of the others, I’m ok with this. It’s good, I enjoyed my taste of it. 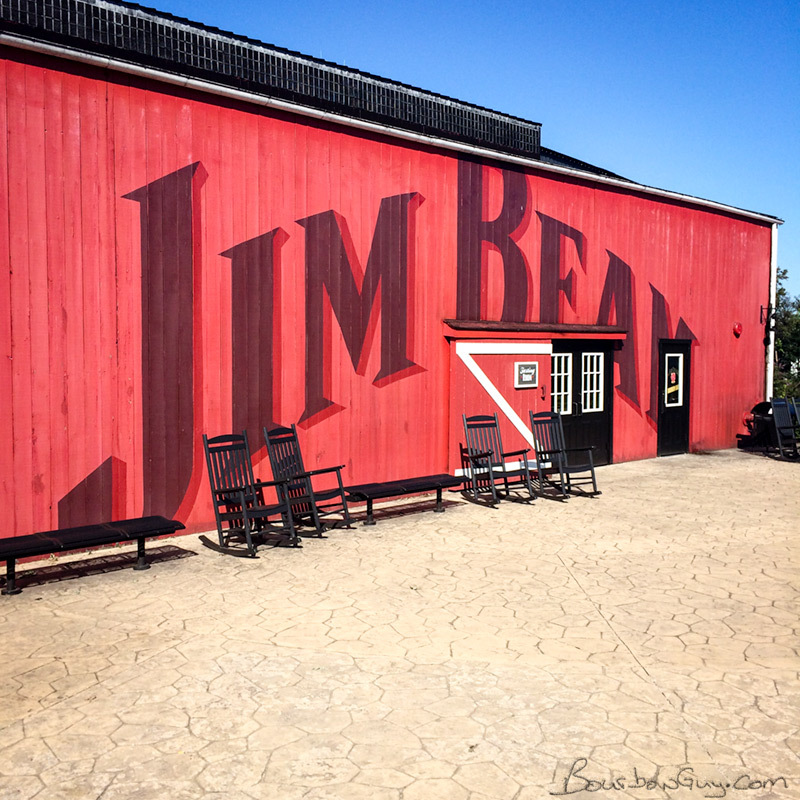 Last week, I went to Kentucky to do a little shopping...go to the Kentucky Bourbon Festival in Bardstown, KY.
You might ask, “Eric, you’ve been there before why keep going back?” And honestly, I’ve asked myself that very question. I tend to go to the same events. I visit the same stores and gift shops. To be honest, I don’t even consume that much whiskey. In fact, I almost didn’t go this year. We already had a trip planned for late August and didn’t think that we’d be able to go on another one that soon. But the more I got to thinking about it, the more I realized that it isn’t the events or even the shopping that brings me back every year. Sure the couple of events I go to every year, I go to because I have a good time. And yes, I could have paid a good chunk of my mortgage with the amount of money I spent on whiskey in those four days. But the real reason is the people. I’ve made a lot of friends going to BourbonFest. I missed a couple of them this year, but I met new ones as well. I like to go to the All-Star Sampler™. Distilleries, big and small, are are pouring whiskey. And I see a lot of people there. Some I see every year and I almost always spend much more time talking with friends, old and new, than I do drinking. I like to go to Let’s Talk Bourbon™ at Four Roses every year both because it is at Four Roses and because it is always different. It always starts out the same, but the question and answer session always goes in directions you couldn’t anticipate. Plus this year we got to hear from new Master Distiller, Brent Elliot in addition to Jim Rutledge and Al Young. Toss in the festival, the barrel races, the spirit garden and the crafts for sale on the lawn and it is a very good time. No, you probably won’t be wowed by the whiskey that is poured. It’s mostly the stuff you can walk into any store and grab on the shelf for under $30. But you know what? There is something to be said for sitting under a tree with a glass of old Grand-dad 114 talking to people who share your love of whiskey and your knowledge that friends are the best thing you can find in Kentucky.